OR you can choose Blank Kraft Tags if you wish. 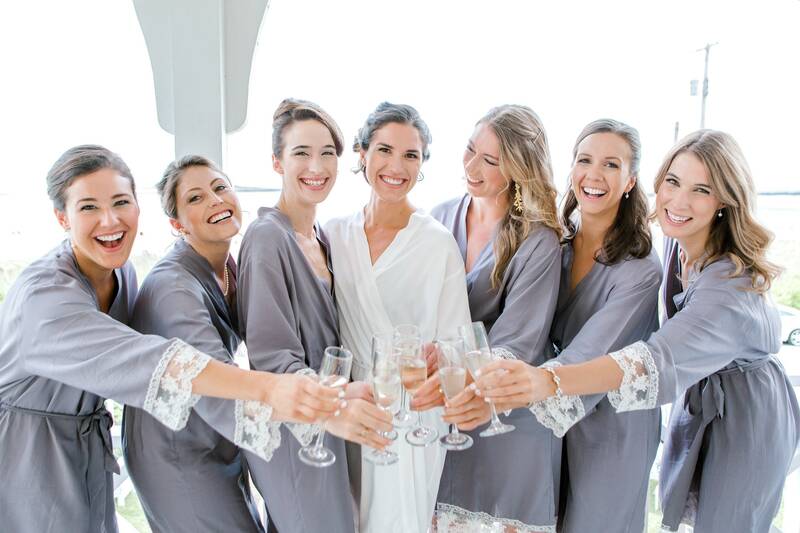 The Regular Size Cotton Robes are One Size Fits Most | Ladies Size 0 to 12. 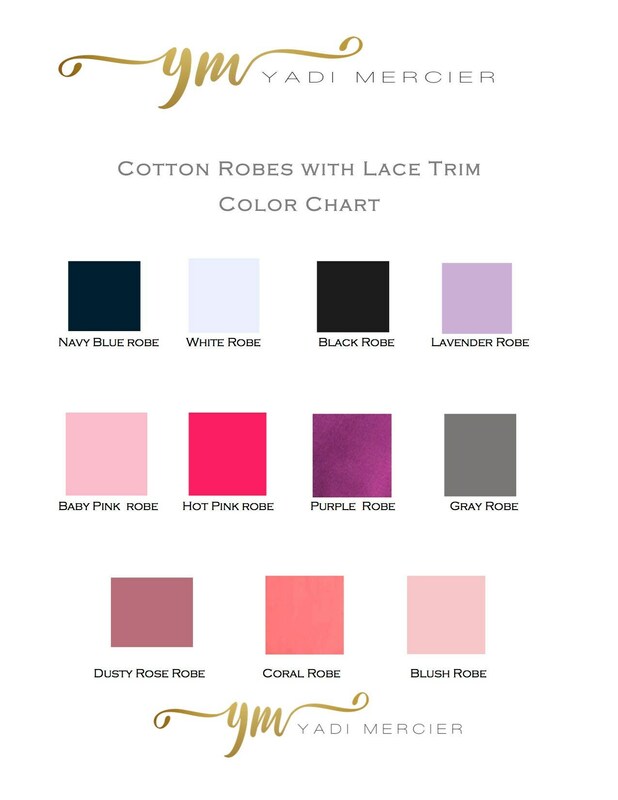 Length 39" and Width 51"
The Plus Size Robes will fit ladies who wear a Ladies Size 14 to 20. Length 39" and Width 56"
Note: I do not carry specific sizes. 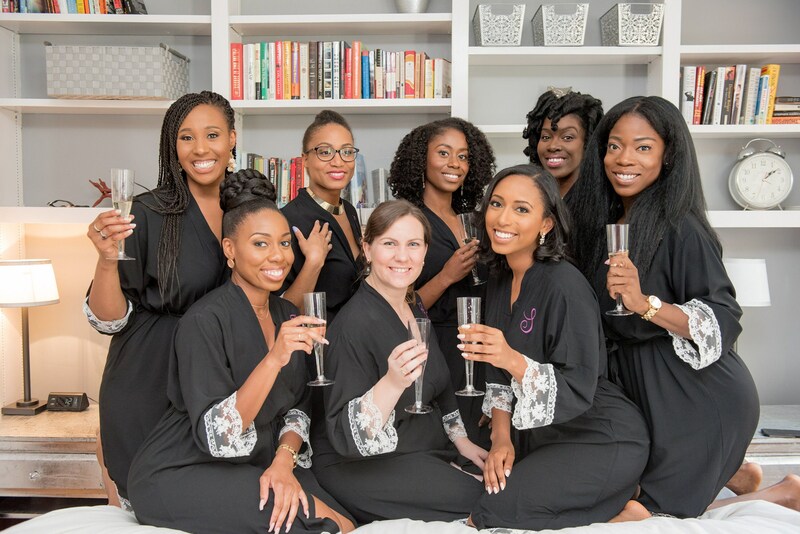 The robes come in Regular and Plus Size as described above. 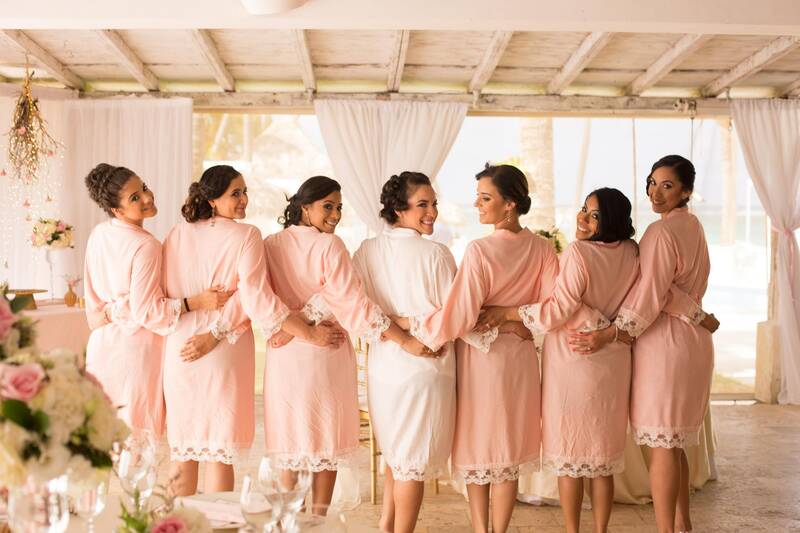 I also carry the Mini Cotton Robes with a Lace Trim in White, Blush and Baby Pink and in two sizes. Small for ages 2 to 6 and Large for ages 7 to 11. 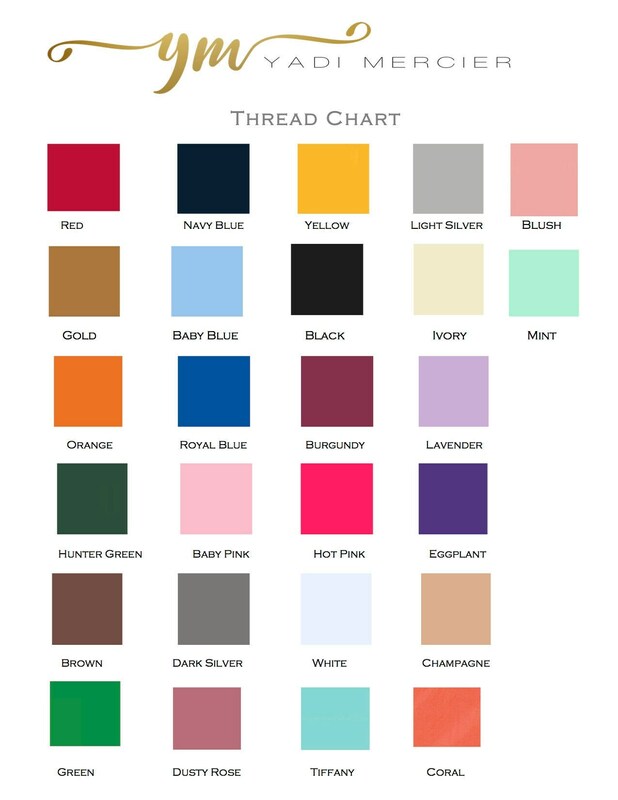 The Colors of the Robes, Thread Colors and Embroidery Styles/Fonts can be found in the Pictures above. Please click on all the pictures above. 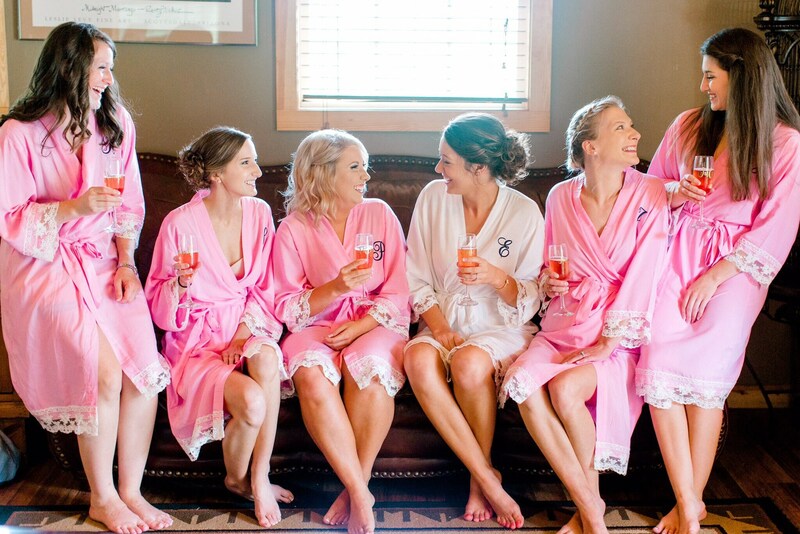 A Single Letter Embroidery means One Single Cursive Letter to be embroidered on the front of the Robe using Font #4. Please do not write in your notes that you would like Design #2 with a Single Letter. This is not "Single Letter Embroidery". If you would like Design #2 with 1 Letter then you will need to choose Front Embroidery. 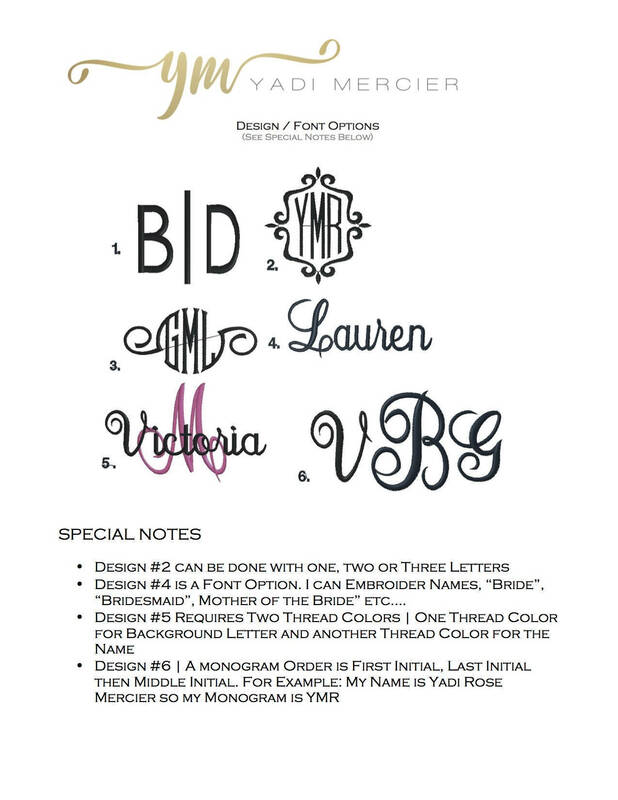 A Monogram order is First Initial, Last Initial and Middle Initial. The middle initial always being larger. The Cotton Robes should be Hand Washed and then Hang Dry. Please use a Steamer to remove the Wrinkles and Creases. Just like you would a pretty blouse or dress that is Delicate. I do not charge for Rush Orders. Please contact me for rush orders to reconfirm that I can indeed accommodate your request. Large Orders for Weddings Welcome! You can mix and match any colors. Questions | Please convo me should you have any questions! By Purchasing this Listing you Acknowledge that you have Read and Understand this Listing and the Shop Policies. All sales are final. We dot accept returns or exchanges but contact me should you have a problem with your order.